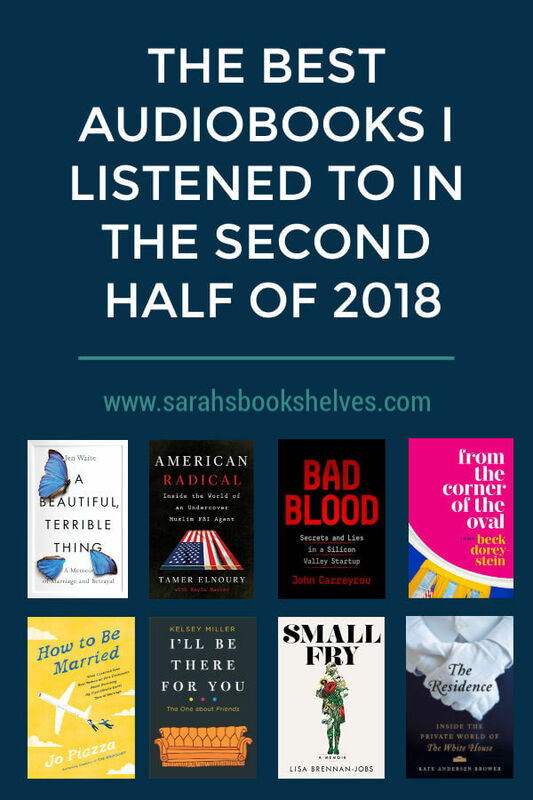 I’m a little surprised that there is ONLY one audiobook on either of your lists that I also listened to this year. That was American Radical, which to me was almost like fiction. I may eventually pick up the Friends audio. Sounds really fun! I’m so glad you enjoyed How to Be Married! I thought it worked so well as a marriage memoir and a travel memoir – so interesting to learn about different cultures! You missed the entire point of “Small Fry” if you were looking for insight on Steve Jobs’ life. It wasn’t about HIS life. It was about hers. And her intimate, personal relationship with a father who was absent and/or uncaring. Read Isaacson’s (authorized) bio of Jobs if you’re looking for the grand applause. “Small Fry” was immensely readable and an insight to the flaws of genius. One of my best books of the year. I’ve been wondering about the Friends book — good to know it’s worth it on audio. I’ll have to add it to my list. Ooh I love Friends and have been meaning to pick up I’ll Be There For You! 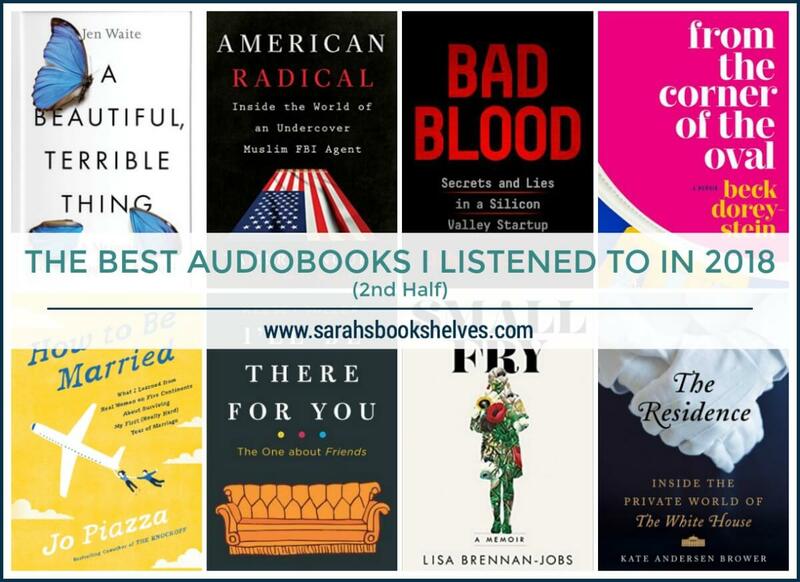 My Audible credits are piling up so I think that will definitely be one of them.